It has been a while since we heard much about the upcoming Acura NSX as some enthusiasts have made their minds up that Honda/Acura would not introduce such a car and fill Jay Leno and Jerry Seinfeld’s order from 2012. 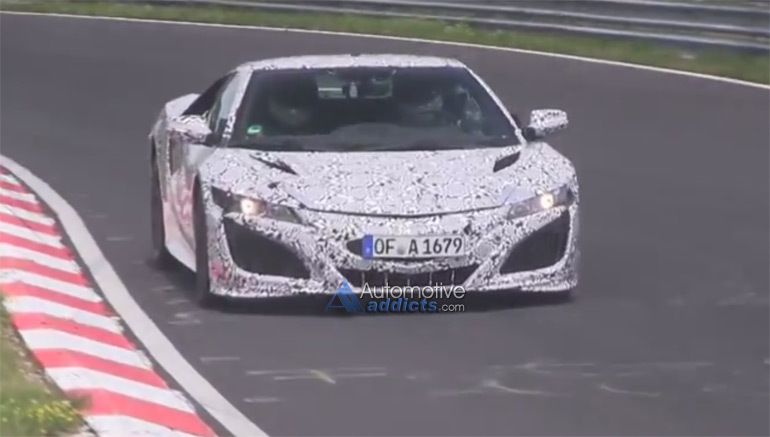 It seems new spy shots and exclusive video of the 2015/2016 Honda NSX (Acura NSX) are now showing up evident of the NSX making its way closer to production. 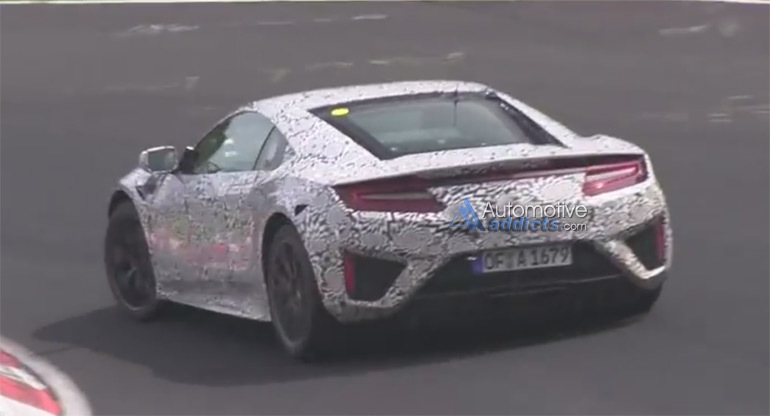 Shown here, in its production body covered up by camouflage wrapping, is the forthcoming NSX that should be officially ‘ready’ later this year or early next year. Do you think the NSX and its 3.7-liter V6 engine hybrid concoction will be a real competitor among the likings of other sports and exotics on the current market?